Minimalist. 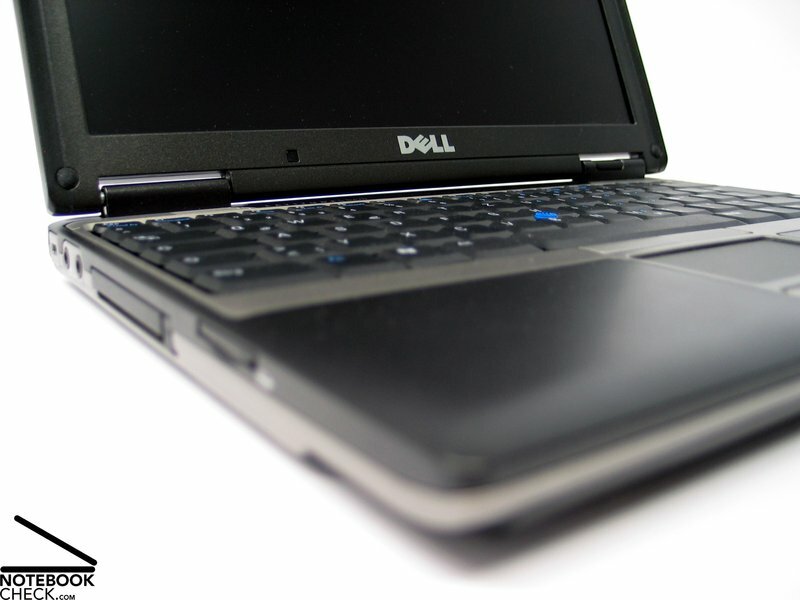 The Dell D420 is one of the smallest and most mobile notebooks of the current Dell product lines. 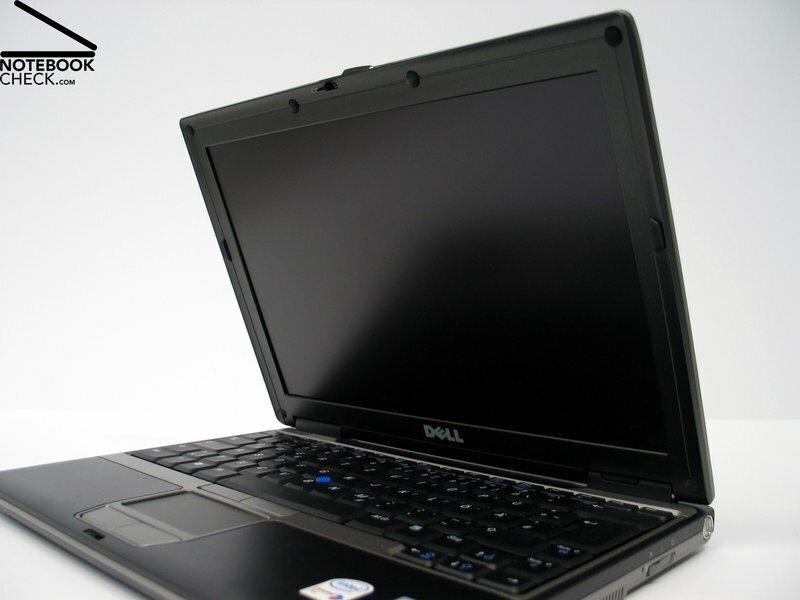 In the contrary to its competitors, Dell equipped the D420 with a WXGA display, which clearly contributes to the overview on the 12 inch display. The U2500 Core Duo processors combines good performance and low energy demand. 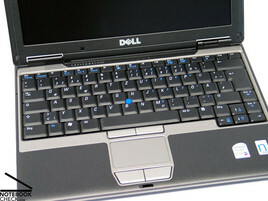 The D420 with the recognizable decent form and color design is representative for the Dell Inspiron business line. However, the word color is not really appropriate, you should rather call it gray levels. The purpose of this simple and durable design is to avoid too much diversity in companies in order to deliver new notebooks without stirring up enviousness. Unlike the bigger Latitude notebooks, this design does not let the clearly smaller D420 appear to be that heavy and bulky. E.g., a number of docking options and notebook stands are available. 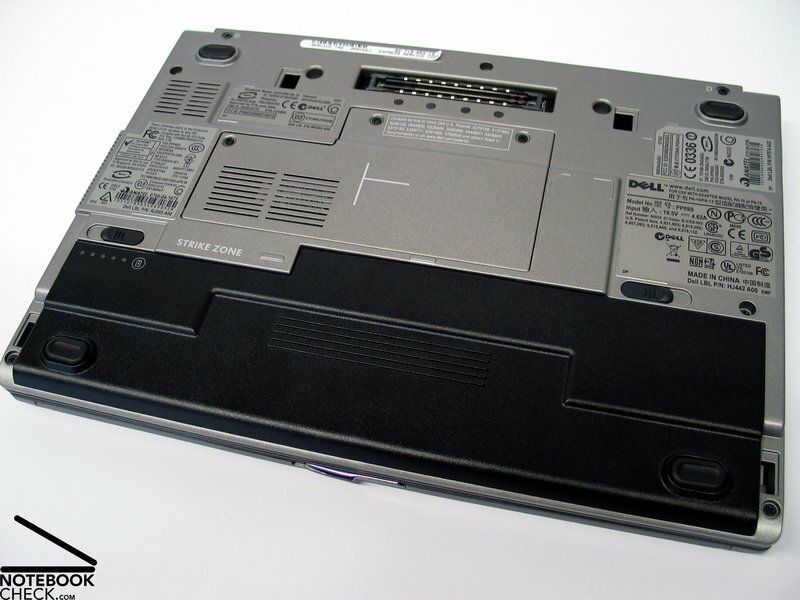 An interesting alternative is the optional Media base, a docking station of notebook size, to which the bottom side of the notebook can be attached. 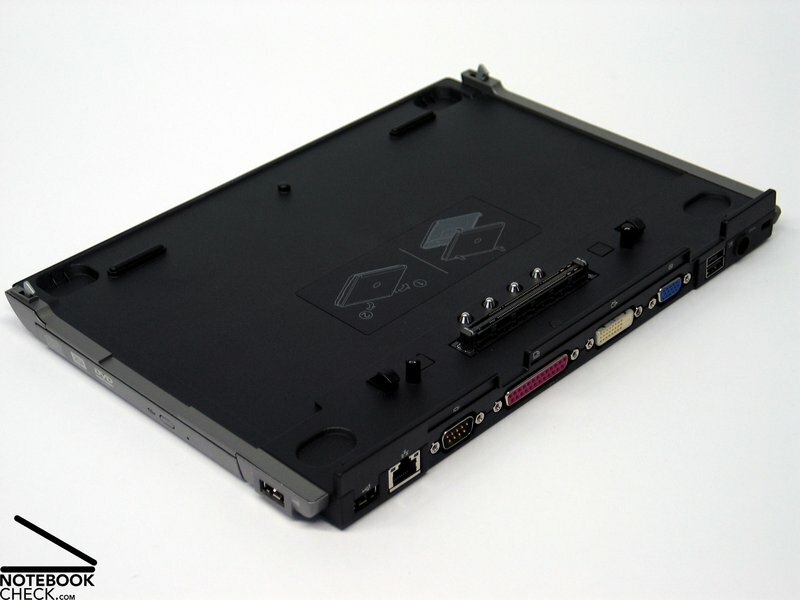 Besides a DVD drive the Media base also provides you with additional ports like DVI, parallel and serial ports. Of course also the classic external DVD drive is available for the D420 and also included in the delivery. 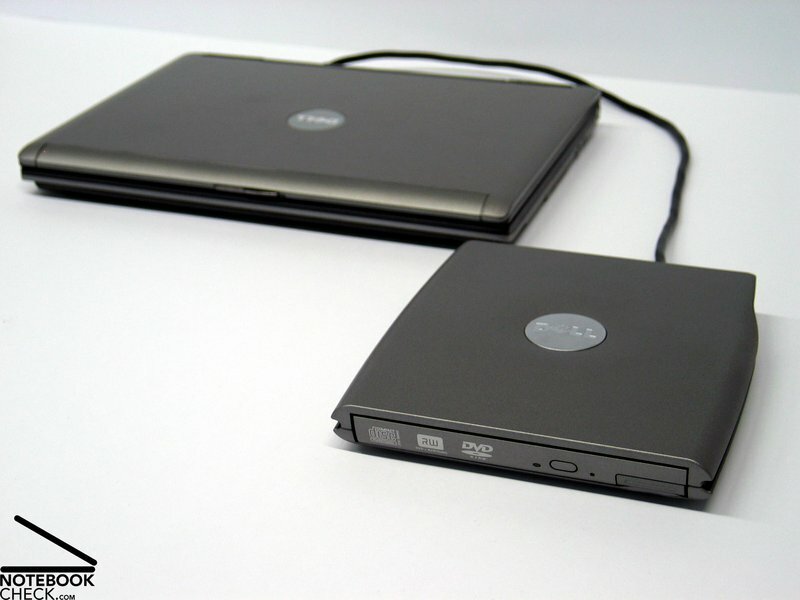 It can be attached to the notebook by a special USB connector called "powered USB" by Dell. Powered USB separates the energy supply from the data transfer. Back to the workmanship: The D420 scores high, because of high-quality components and especially because of the quality of its case. Not only the haptics of the magnesium case is wonderful, also its flexural rigidity and pressure resistance are excellent. At some parts you'll find uneven gaps, which somewhat diminish the high-quality appearance of this notebook. Even the display scores high regarding this aspect. Also here, the use of magnesium parts was worth it. Furthermore, a gentle Clamshell design was used, which is also known for having a positive impact on flexural rigidity. The display hinges are spaciously dimensioned compared to the compact size of the notebook. They are able to securely hold the display's position and do not allow any see-saw after adapting the position. 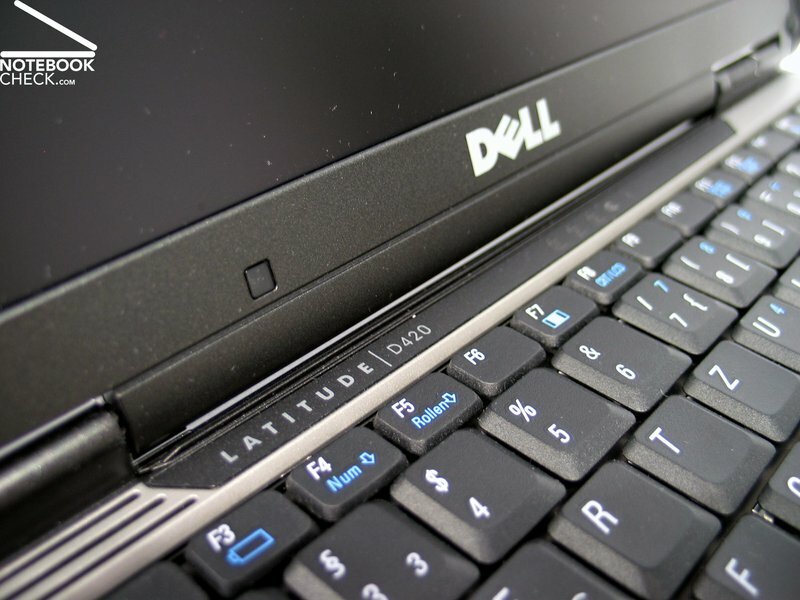 The Latitude D420 has only one central transports hook, which keeps the display securely locked. 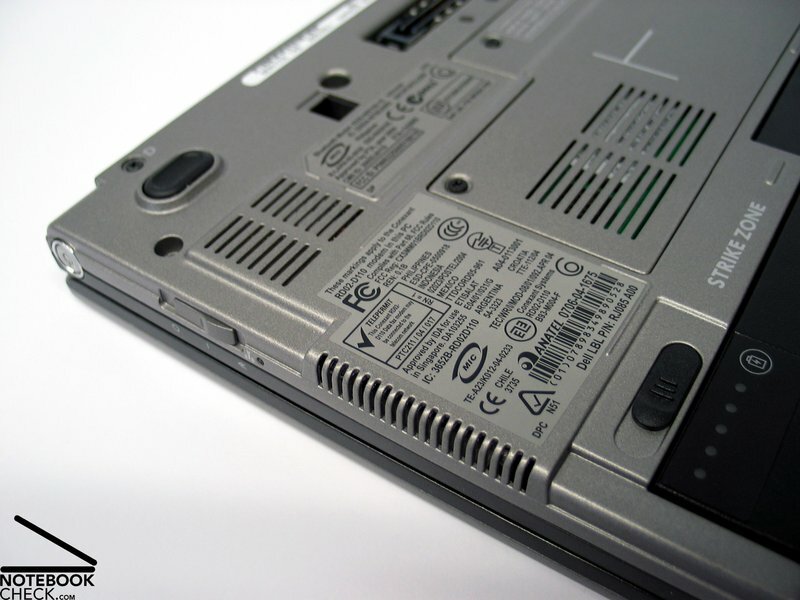 Most of the notebook's ports are typical Dell at the back side. The available ports are limited to four USB ports, one of them an already mentioned "powered USB port". 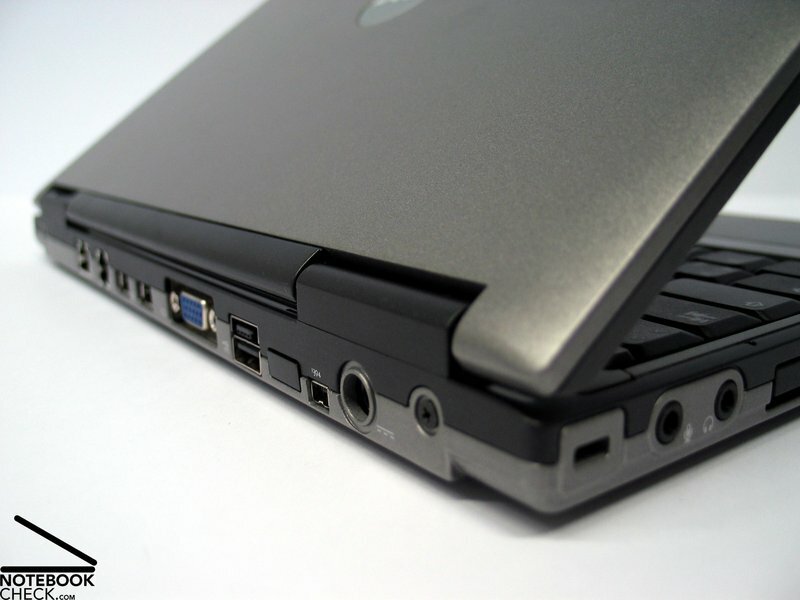 Furthermore, there is a VGA port at the back side. 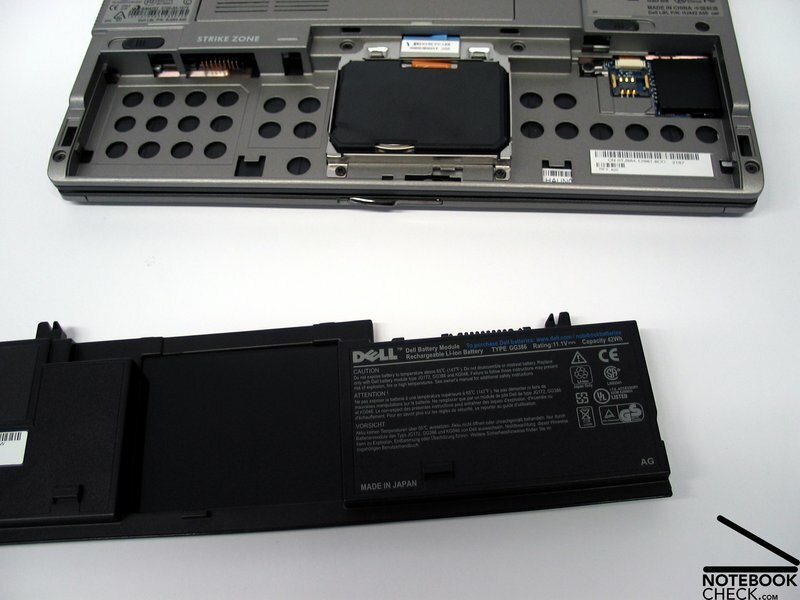 Should you require more ports, e.g, the optional Media base is available for the D420 (see above). The keyboard of this mite surprises by its spaciousness. 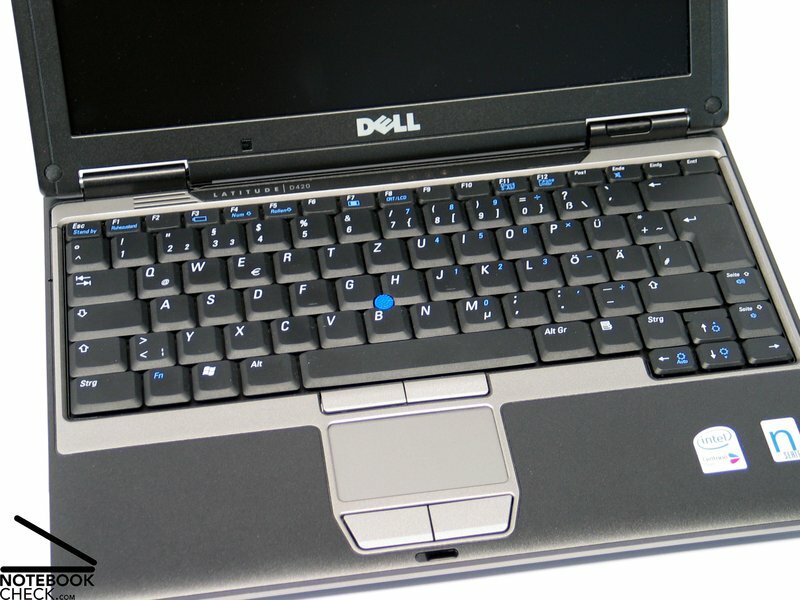 The whole width of the notebook is used and therefore most of the keys are full-sized. Only the size of the F-keys and the cursor keys were reduced. 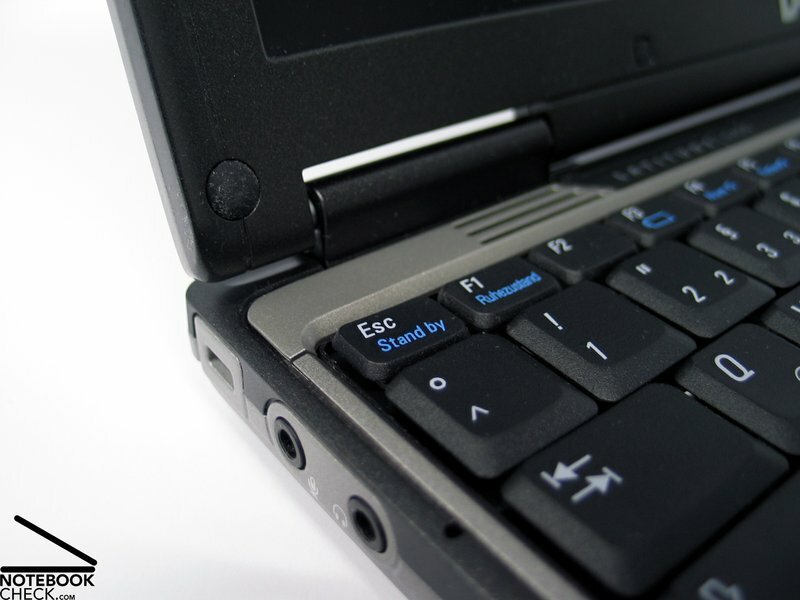 The D420 even has an enter key which extends over two rows. However, the keyboard does not only score regarding its size, also typing feels alright. The single keys can be comfortably soft hit and the noise emissions are also alright. 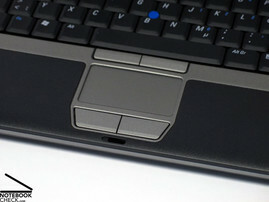 The touch pad/track point combination of this notebook could not totally convince. The touch pad is relatively small, and somewhat intractable in use. 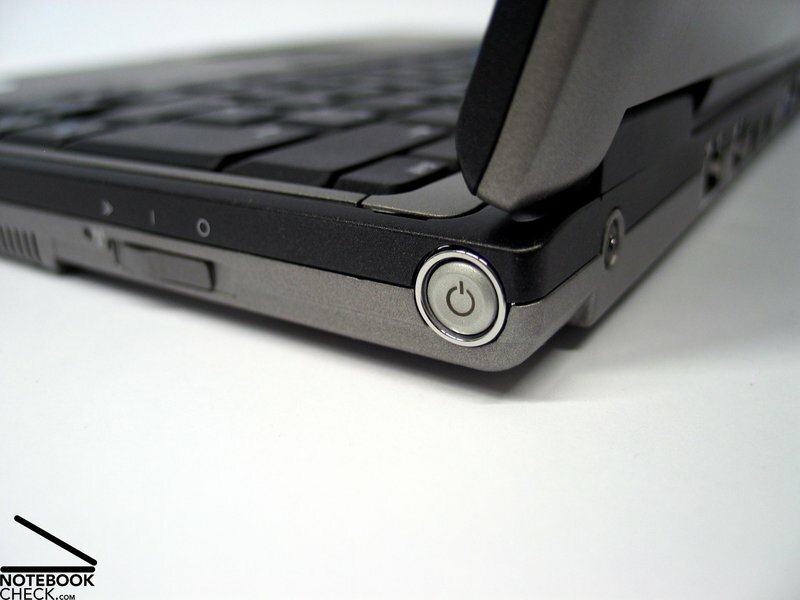 Alike is the reaction of the track point, whose plastic cap is not really ergonomically formed, and provides hardly any feedback to the finger. Of course it is yet possible to configure the sensibility of the track stick and the touch pad depending on the user's needs. 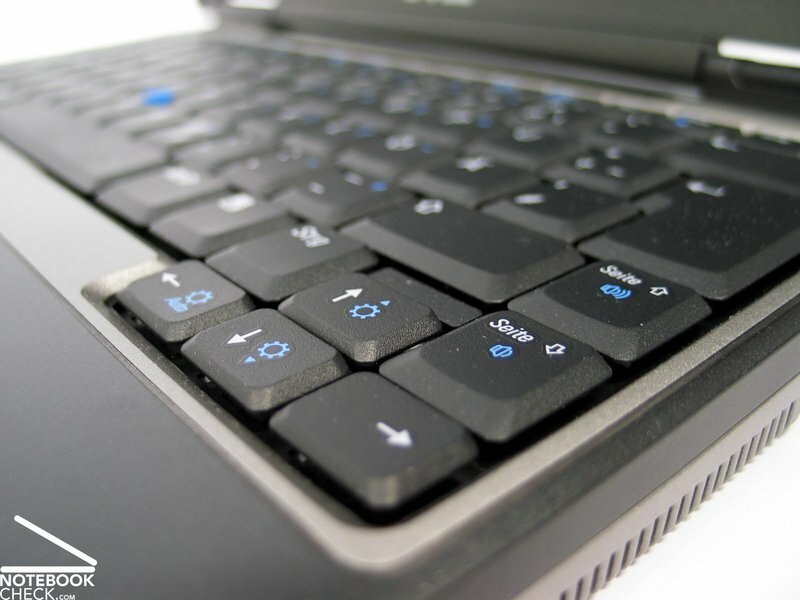 Because of the very small dimensions, there was hardly any space left for additional keys. Still, the right side of the D420 provides you with a shapely power switch and a key for deactivating the wireless function. 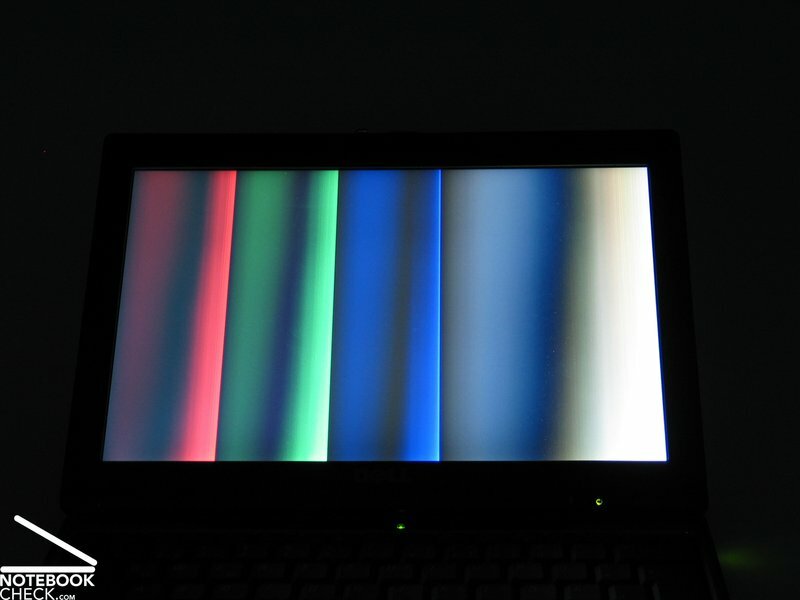 The non-reflecting 12 inch display surprises by a maximum resolution of 1280x800 pixels. This provides a good overview even at such a small area. At a fineness of 125 dpi the displayed contents are rather small, but, still well legible. The maximum brightness was measured at the top center region and is very good at 179.6 cd/m². Because of a heavy diminishing brightness at the bottom corners the illumination of the display is only 67.5%. 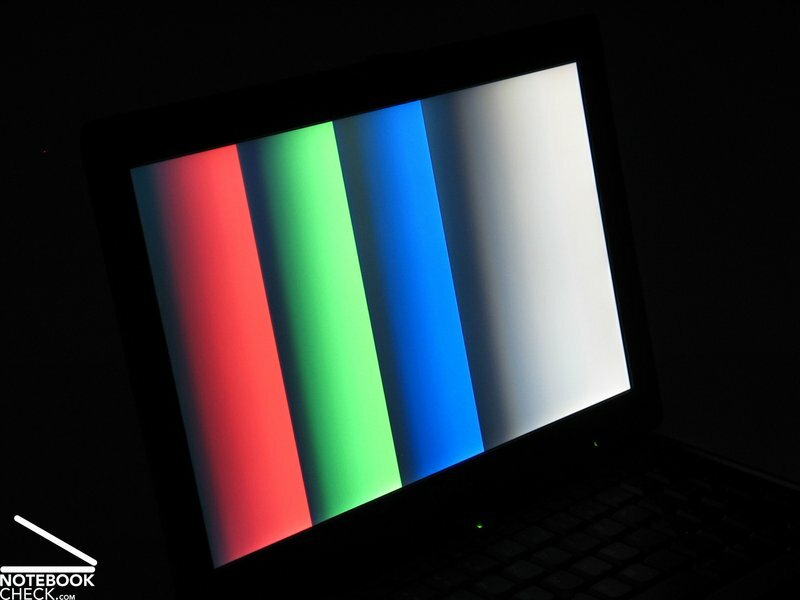 These characteristics of illumination of the display panel is connected with the used LCD technology which lights the panel from the bottom and spreads the light through a special prism of the LCD construction to the top. The advantages of this technology are a higher brightness at the same energy demand and at the same time a reduction of the weight. 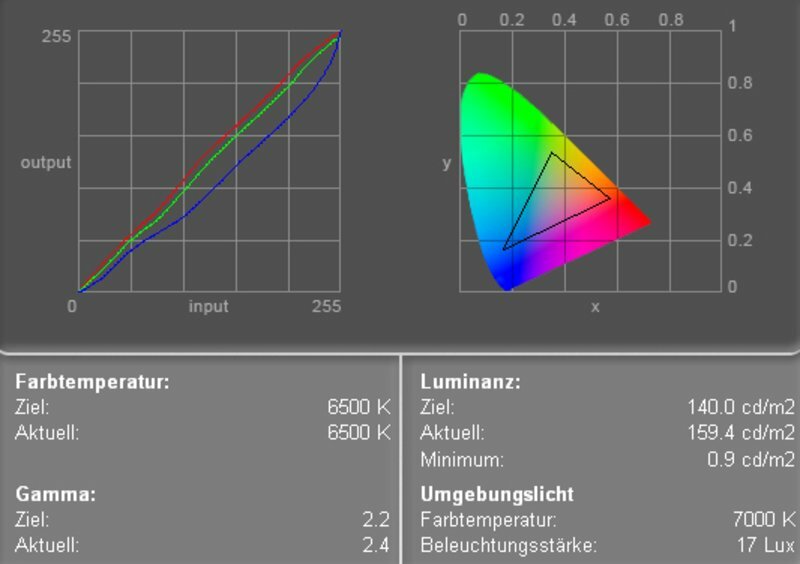 The measurement diagram depicts the usual lowered blue color curve, which results in warmer colors, because red colors dominate. 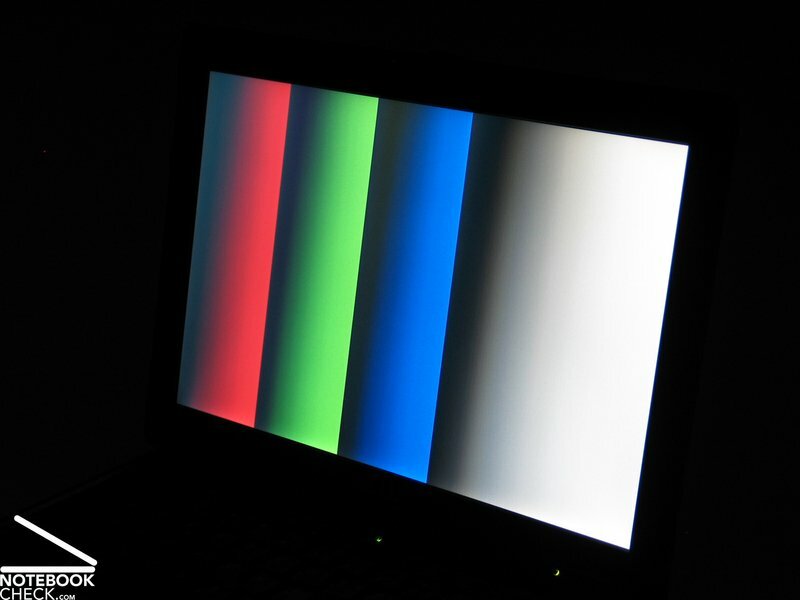 The black value of the display (minimum brightness) was 0.9 cd/m². So, the calculated maximum contrast is 200:1. This contrast ratio is yet sufficient, but not really outstanding. Because of the matt display and the good brightness the D420 should also be fit for outdoor usage. However, the main weakness of the display is its stability to the vantage point. Quickly especially the weak vertical stability to the vantage point gets apparent. You can quickly observe the well-known darkening and whitening. 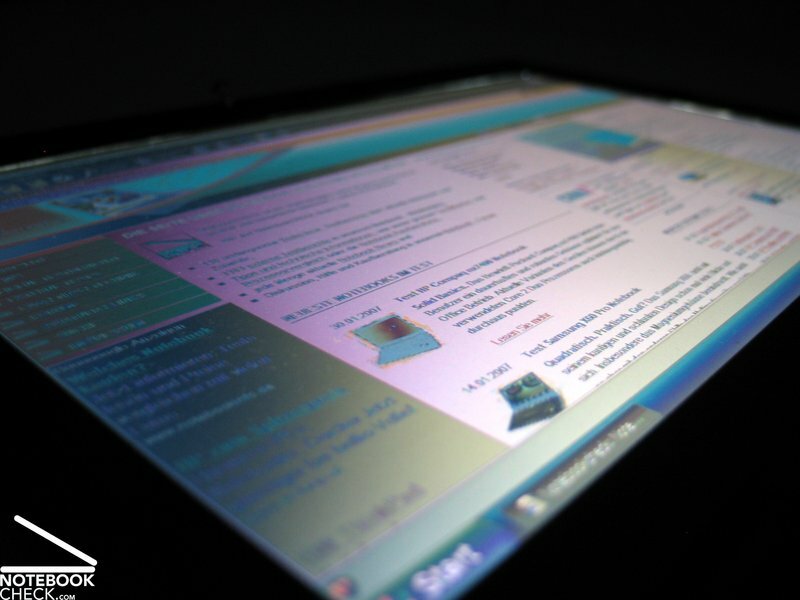 While you might well cope with this weakness at the desktop, a mobile use on soft surfaces requires a permanent adjustment of the display's position. 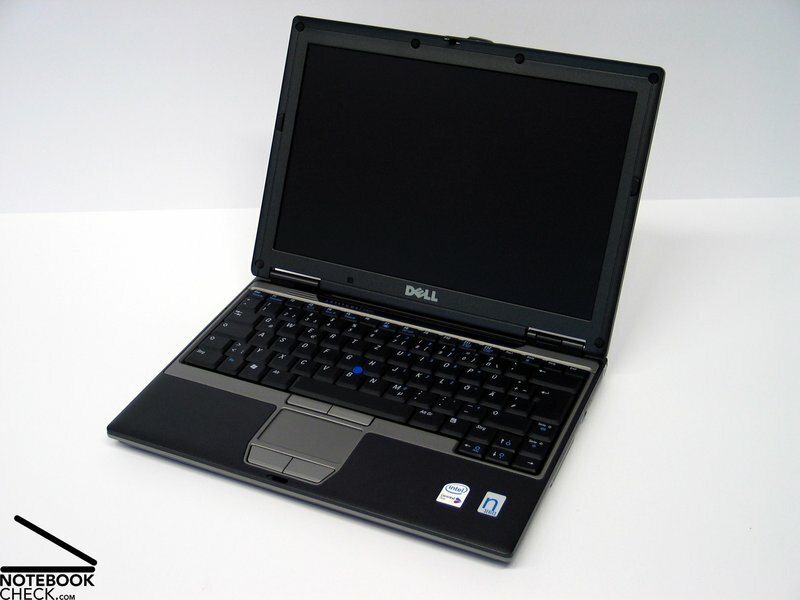 The Dell Latitude D420 mainly aims at maximum mobility. This is not only observable because of its dimensions and weight. Also the hardware equipment contributes to this impression. 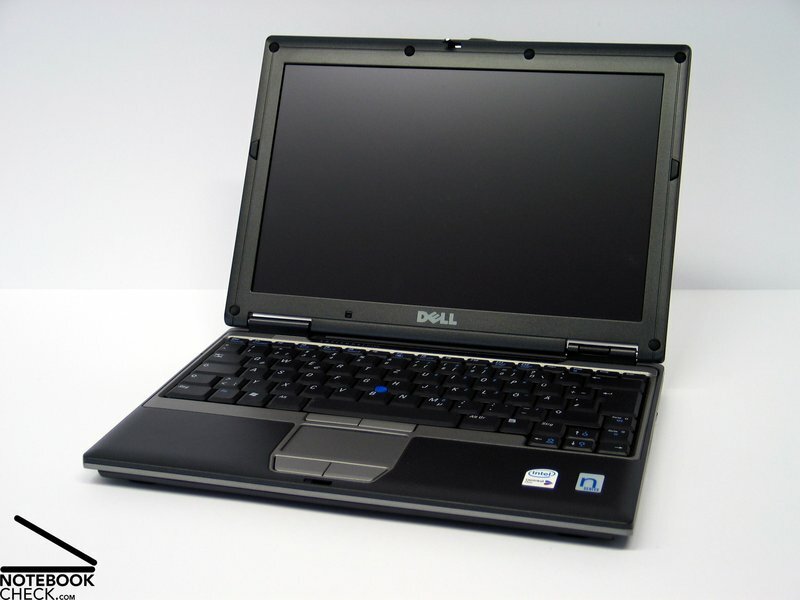 E.g., a Core Duo U2500 processor, the energy-saving version of the Core Duo CPU, is used. Furthermore, the reviewed notebook was equipped with 512MB main memory. 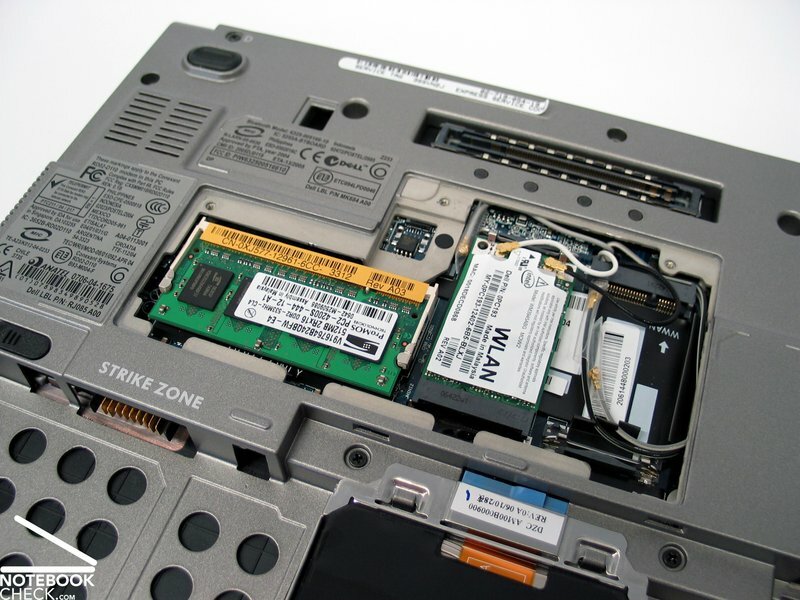 Up to 2GB are possible in this notebook. At a clock rate of 1.2GHz the processors only demands 9.5 Watt and is yet sufficiently powerful for basic applications. An integrated Intel GMA 950 video chip is responsible for graphics. Compared to the equipment of competitor notebooks, the weak hardware equipment of this notebook gets apparent. Still, we want to mention, that maximum performance was not the primary aim of the D420 and daily applications without high demands on calculation power should also not cause any problems. Even a Reaction Quake game was no problem for the Latitude. 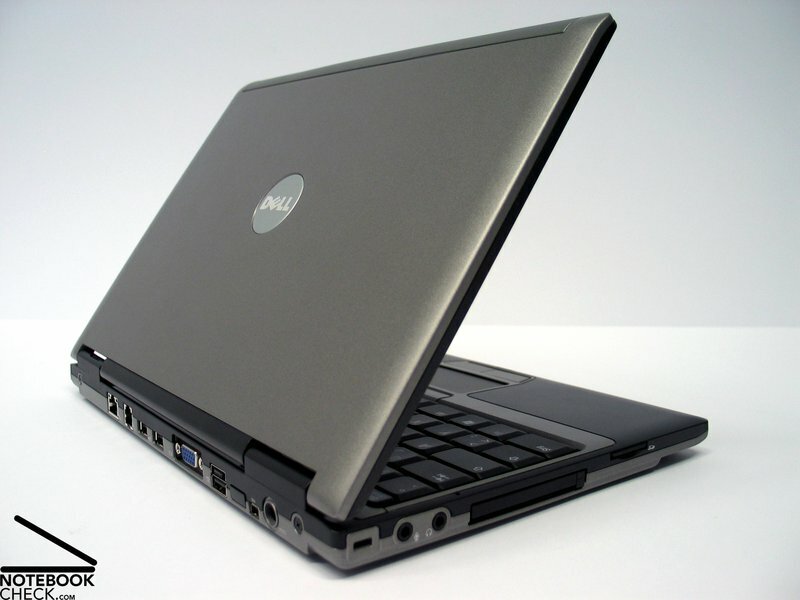 However, you should forget about intensive game sessions, the 12 inch Dell XPS M1210 with Core 2 Duo CPU and Geforce 7400 video card was designed for these demands. 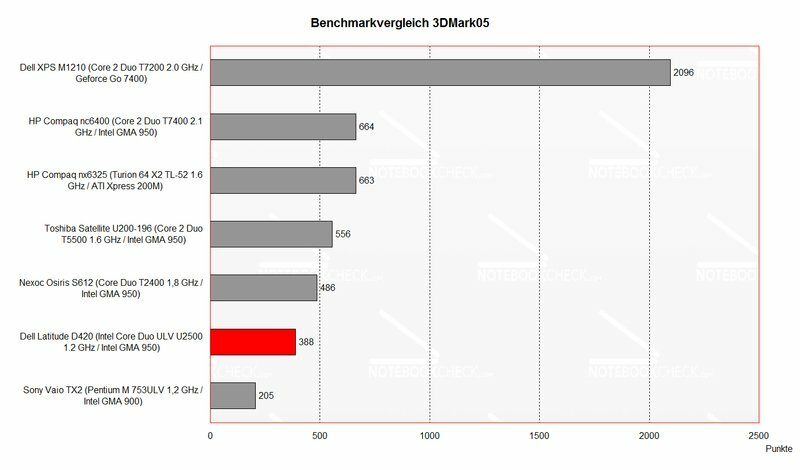 Even the 60 GB hard disk, a Toshiba MK6008GAH, of the reviewed notebook did not score high compared to others. However, you should consider that this is a 1.8" hard disk with 4200 revs. The review uncovered low transfer rate and average access times (compared to 2.5", 5400 revs models). 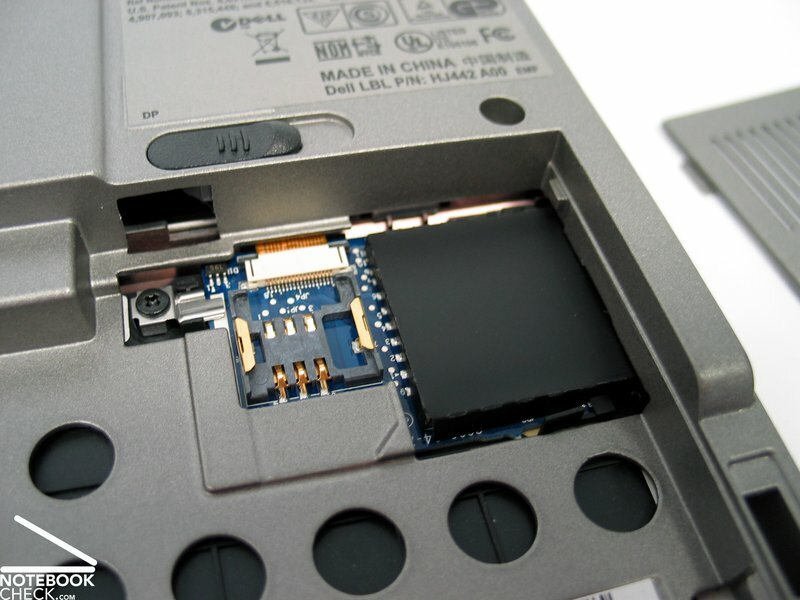 A 80GB version of the 1.8 inch hard disk is also available. 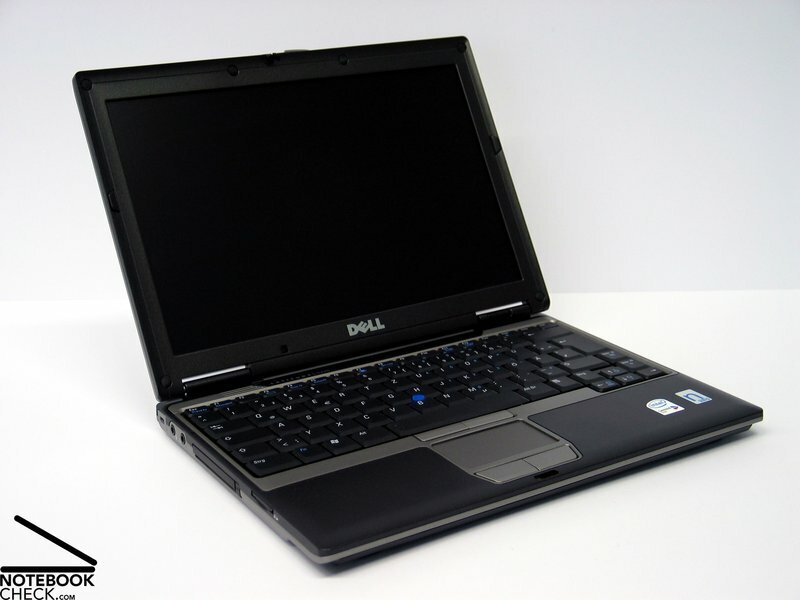 The emitted noises of the Dell Latitude D420 are pleasingly within reasonable ranges. During normal operation you will hardly recognize the notebook. 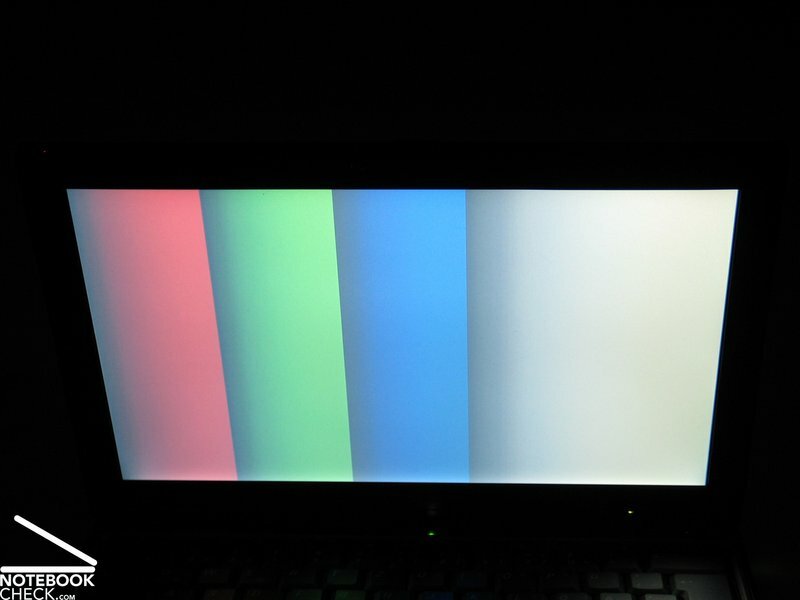 With a noise of about 31.4 dB during idle mode this notebook is nearly completely silent. Only under load the fan gets apparent to the user. At higher demands the D420 noise emissions of 40 dB are possible and clearly recognizable. In turn to the rather decent fan, the notebook gets clearly warmer. Especially near the back at the bottom side and under load clear the temperature possibly increases to up to 48°C. 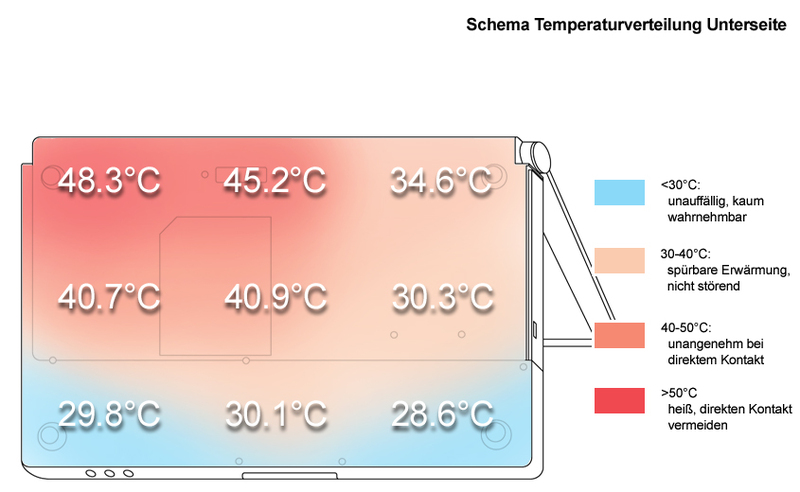 This hot spot is at the left back corner at the bottom side (fan/CPU). The mono sound of the single speaker left above the keyboard is really not worth listening at. It's main usage is rather for simple audio warnings. Music sounds tinny and low. In order to enjoy music, we definitely recommend the use of a headset. Depending on the demanded performance, the D420's battery runtime with integrated 42Wh lithium ions battery is in between a minimum of 1.5h and a maximum of about 3.5h. Alternatively to the reviewed 6 cell battery also a 9 cell battery with a capacity of 66Wh is available, which should be capable of increasing to runtime by about 50%. 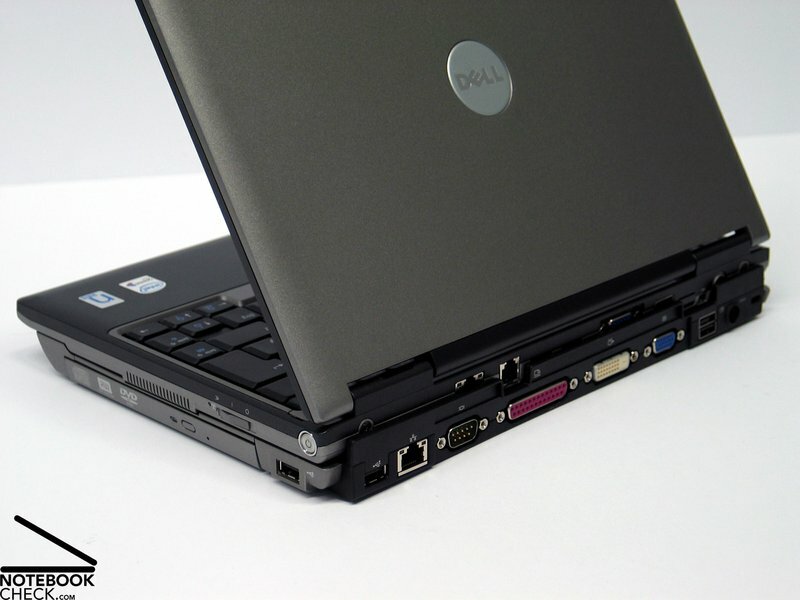 The Dell Latitude D420 is a small and mobile secondary notebook, which mainly convinces by its high-quality and robust, but yet especially light case. 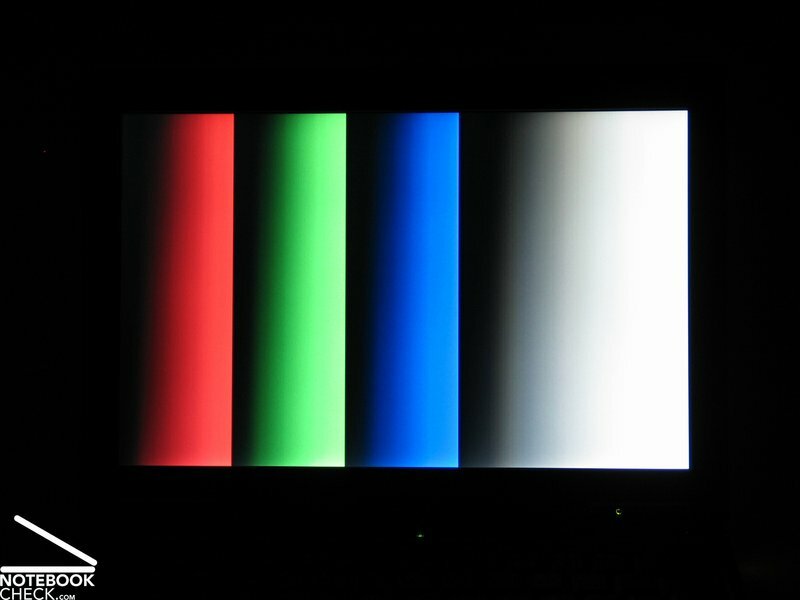 Further pluses are the wide screen display, which provides overview by a resolution of 1280x800 pixels, and the low noise emissions. Even the keyboard is alright for a 12 inch notebook. All important keys have a reasonable size. However, you might need some time to get used to the touch pad and the track point. 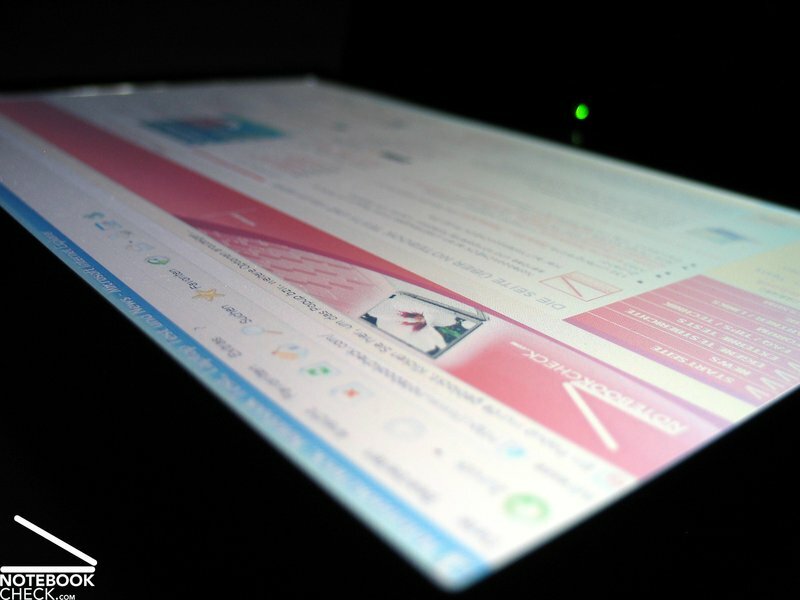 The display scores high regarding its resolution and its non-reflecting surface. However, illumination and stability to the vantage point of the panel are not really good. If you are not eager for somebody else looking at your display, this property might also be a plus. Even the performance is rather moderate. 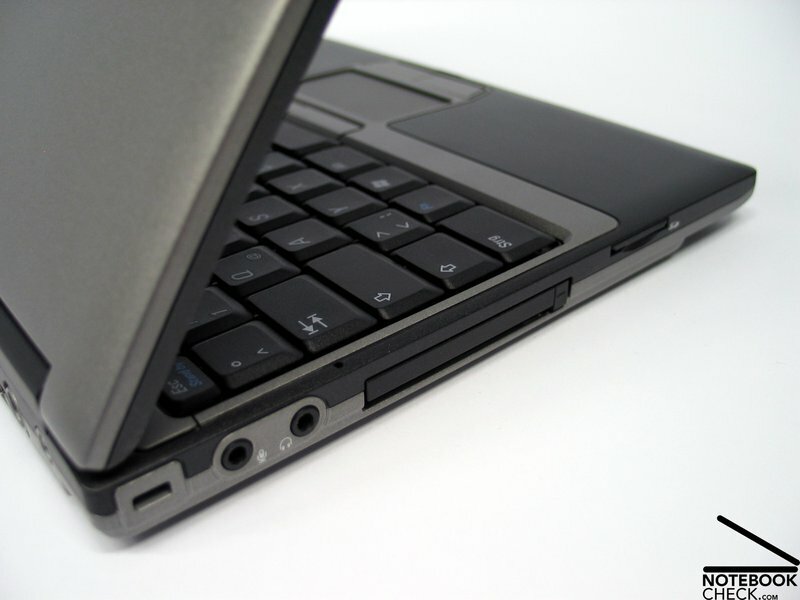 However, the main design aspects of this notebook were a long battery runtime, low weight and small dimensions. Daily demands like Internet or Mail and light office applications should yet hardly cause any problems for the D420. While the noise emissions are low, the notebook clearly gets warmer. 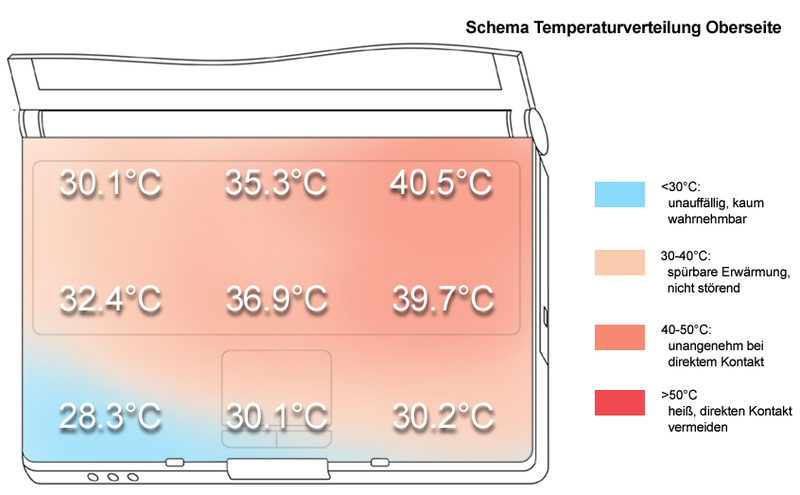 Especially for a subnotebook, surface temperatures of up to 48°C cannot be neglected. Nevertheless, this aspect is not really important for business notebooks, and, furthermore, you are lucky to use a headset. The battery runtime of up to 3.5 hours with the 6 cell battery is alright. If you intend to use this notebook mobile, you should still consider the 9 cell battery instead, which is able to provide you with a runtime of up to 5 hours in practice, with optimized energy settings even longer. The heating of the bottom side of up to 48°C is not so good. More important is the nearly utterly quiet operation. 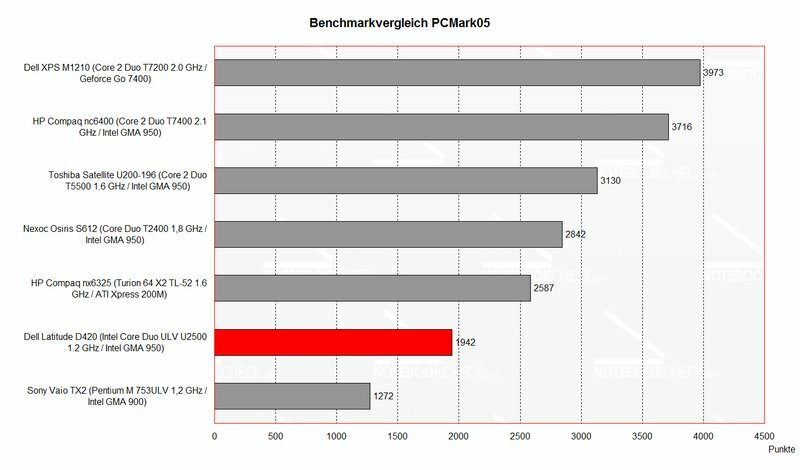 However, performance is clearly not the main purpose of the D420. 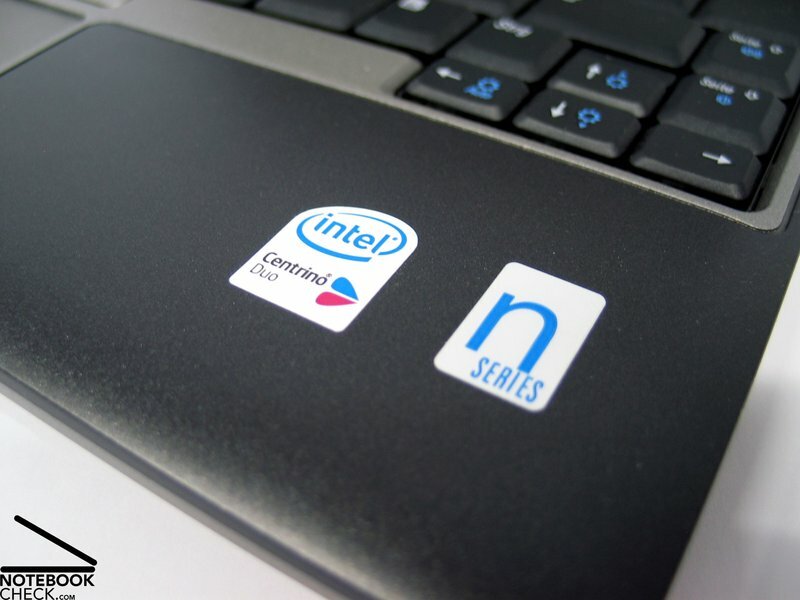 The performance of the Intel Core Duo U2500 processor is sufficient for non-demanding applications. ...however, its illuminations and stability to the vantage point are clear weaknesses. The keyboard uses the available space of the notebook to full capacity. A special plus is that the D420 is prepared for mobile broadband Internet. at the back side of the notebook. This avoids cable spaghetti at the sides. The flexural rigidity and pressure resistance are also alright. Also the workmanship is alright. and its decent business design. The 42 Wh battery in combinations with energy-saving hardware equipment leads to an excellent battery runtime.